Will Mangala Recall Chandrani Bandara’s Son? Mangala Samaraweera was appointed as Minister of Foreign Affairs and Chandrani Bandara was appointed as the Minister of Women’s Affairs in the latest cabinet. One of the main pillars of the Maithripala Sirisena campaign was to de-politicize the Foreign Service which was filled with children and relatives of cronies by the previous Rajapaksa administration. Interestingly one such political appointment given was to the son of then UNP Parliamentarian Chandrani Bandara. In an exclusive story Colombo Telegraph revealed how her son was given a diplomatic posting by the Rajapaksa Government even though he had not passed the Sri Lanka Foreign Service exam or gone through the appropriate selection process. Rukshan Jayasinghe, Chandrani Bandara’s son now serves at the Sri Lankan Consulate in Dubai in the United Arab Emirates. At the time, the posting was believed to be a reward to Tissa Attanayake who was playing a double game while staying with the UNP. Chandrani Bandara is believed to be on intimate terms with Attanayake over a prolonged period, even though the latter is also married. 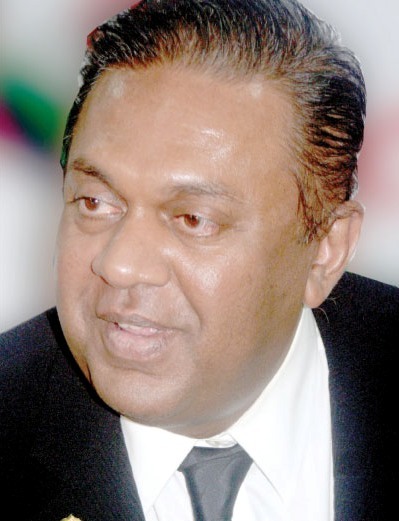 Attanayake later left the UNP to formally join the Rajapaksa administration. All eyes are now on the new Foreign Minister as to whether he would recall political appointees which would include the son of his fellow cabinet colleague. If not this would be the beginning of the same old crony politicization of the Foreign Service. At one point UNP MP Rosy Senanayake had an offspring working for the Foreign Ministry through political connections. Her daughter was inducted to work for CHOGM as previously revealed in Colombo Telegraph and was to be sent as a diplomat. However after revelations about the appointment Senanayake is believed to have withdrawn her daughter from the group. Correction: An earlier version of this article incorrectly stated that Chandrani Bandara was appointed as the Minister of Foreign Employment. What about A W Pathiraja in our embassy in Brazil for 6 years now. He has not passed GCE A level but got into Foreign Service as a clerk promotee. He was sent to Brazil by Sajin as he prepared a Cabinet Memo for G L Peiris to seek Cabinet approval to absorb all the political appointees to the Overseas Service. For some luck it didn’t succeed. Parhiraja is such a nasty guy who was determined to destroy the Foreign Service. That rascal should be recalled immediately. It is also equally important to restore the rights of all the Foreign service officers who have been maliciously victimised by Sajin and the third grade professor Peiris. Chris Nonis episode was very unfortunate but he deserved it for his vicious behaviour. He should never be considered for any diplomatic position and should asked to return his DPL passport immediately. Srilanka Embassy in washington DC is loaded with relativs and friends of Rajapaksa family (especially of Mahinda and Gota). Gota’s former driver has been working here and was about to make “home base” with more perks including home rent allowance some other perks. There are two sisters relatives of hora Gota, whom have not even passed GCE A/L given diplomat posts with lots of perks. Additionally, Gota’s cameraman and lot more political appoints in Srilanka Embassy in Washington DC who don’t even qualify for these positions. Please investigage and recall these political relatives and friends of MaRA and Gota’s and send foreing service qualified poor srilankans. Mahinda’s close ralaive name Gyan who was send 5 years ago and when his term was over he worked as an recepinist and then Gota gave him the position of “Protocol Offier” by stopping the person who was in line to come who was patiently waiting for years. This Gyan person did not even know what it means or no experience at all. YOUR ACTION REQUIRED!!!!!!!!!!!!!!! FOREIGN MINISTER. Out of all the bunch there are only 2 foreign service personnel. Hahahahahahahaaaaaaaaaaaaa. Minister must take action but we should not expect the moon. You left out the ladies man well known womaniser in Sri Lanka and abroad Bandula Jayasekara in Sydney. Another political appointment or sidelined?